This list breaks them into groups according to flavor and other features. Your list might have honed in on coffee e juices, candy styles, savory, or cinnamon vapor juice. Lets take a look at some of the best e liquid brands out there. Theirs is not the very cheapest brand of e liquids but VaporFi’s 30-ml bottles for $15.99 are extremely affordable and have won awards recently at US competitions. There really isn’t any way to narrow down their list of over 30,000 flavors except to say you should go in with an idea of what you want whether that’s tobacco, nuts, or dessert; menthol, drinks, or candy. Otherwise you will be there all day and that’s without inventing your own blend. VaporFi is strict about quality: that’s reassuring. They also make vapor juice for sub ohm systems. 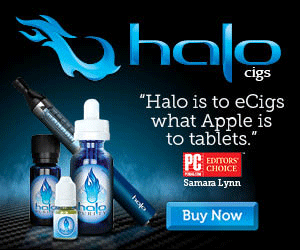 Halo competes strongly in this department and the tobacco category too, but few companies provide the same quality and variety of menthol juices. Their five flavors range from lightly minty to full-on chill. Cool mist is gentle and sweet but SubZero is seriously cold. Menthol Ice is chilly yet approachable. Mystic and Menthol V are designed to emulate menthol cigarettes. Halo uses only USP ingredients combined and packaged in a safety-certified environment. This is an award-winning e juice line completed by numerous tobacco flavors and a few gourmet alternatives. NicQuid lists a series of fruity e-liquids known as Blast Fruits, some of them juicy, others sweet like candy or cocktails. Maui, a pineapple-mango blend transports your taste buds to the tropics. Heartland is about as close to a fruit salad as you come; like a blend of berries scooped into half a melon. Blueberry is actually a blueberry candy-style vape. NicQuid standards are serious. 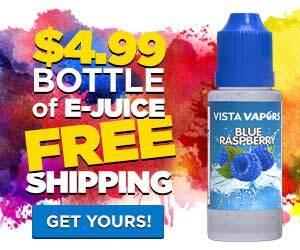 They make their e juice in an American facility meeting rigid safety and hygiene codes using top-quality ingredients. NicQuid offers three other categories: menthol/mint, tobacco, and desserts. Element e-liquids has some terrific, refreshing beverage flavors, such as their popular Watermelon chill, and a bunch of others with some unique flavors such as pink lemonade and pink grapefruit. They have won numerous awards from different vaping expos etc., especially in the United Kingdom, and they are quickly making their presence known in the extremely competitive industry in the United Stated. Vapers also refer to this category as “craft” or “artisan” e-liquid: call it what you will. Customers will still be led to top-shelf, often expensive products. Five Pawns has topped many lists and continues to create a culinary product known the vape-world over for its unique layers and extreme pricing at nearly $1 per/ml. Bowden’s Mate, Grand Master, and Castle Long are just some of their intricate flavors. Castle Long tastes like a combination of bourbon, almond, and coconut sprinkled with brown sugar. A vanilla bean would be found floating just below the sugar if this was a drink. The name is a give-away. You just know that, with a name like Cereal City, there won’t be a French toast flavor or cinnamon buns on this menu. Cinnapple Hoops replicates the flavor of apple-cinnamon circles plus milk and sugar. Perfect Circle tastes like citrus and cherries plus a malty quality which vapers will probably recognize from childhood. Remember Graham-cracker flavored cereal? That’s the idea behind Crazy Squares. Alaska’s Mad Murdock e juice is available in 7 flavors, most of which feature 60% propylene glycol. This is great for someone using a single-coil system that is not made to handle the viscosity of high-vegetable glycerin e juices. Try Pluid anise vapor juice (a departure from the norm), or Mellow Melange spiced chocolate vanilla. Maha Ras Strawberry-Cherry vape liquid is both flowery and spicy. Every Mad Murdock e liquid is original. What do pirates and custard have in common? They both fly the Jolly Roger, and perhaps pirates like custard. We wouldn’t want to stereotype pirates, but it’s okay to slap a label on this e juice and call it “creamy,” “yummy,” and “thick.” There was recently a surge of interest over custard vape sauce. Jolly Roger’s custard e juices like Banana Custard and Chocolate Custard can be blended together. They also make Strawberry, plain Vanilla, and Blueberry versions of their vegetable glycerin-dominant e juice. The organic e-liquid market is growing all the time and it’s not as niche as you might think. Buying organic products has the potential to be expensive but you can be sure your products don’t contain GMO ingredients. Pure Organics is made using non-GMO, USP vegetable glycerin (no propylene glycol), and non-GMO flavor extracts (not flavoring; that would be artificial). Try Caffe Latte or Mango Mystique; Apple Caramelo or Peanut Brittle. You will discover fewer options among organic products because there are not as many natural flavorings as unnatural ones. We recently tried a selection of their flavors through a sampler pack, and could not believe the price ($16.99 for 60ml). If you enjoy strawberry dessert types of flavors, they have you covered, since that is what we tried. They were a very tasty strawberry selection, with a couple other yummy flavors. Judging on every flavor we tried (8 different flavors), we think they have lots of other very good tasting selections, so give them a shot, especially if you are on a budget looking for a cheap choice. That would be the first US e juice company to satisfy demands for quality control like using USP ingredients and a laboratory blending/bottling environment: Johnson Creek. Their vapor juice is now divided into several series but there is plenty of tobacco-type e juice to be found. The list is long but some of the flavors found here include Black Cherry tobacco, Tennessee Cured, Birchwood and Birchwood Vanilla, Bold Tobacco, and JC Original. Fix on an authentic flavor without smoking a cigarette, cigar, or pipe. Finally, we have the sub-ohm favorite: Steam Factory e liquid. You can guess by the name what they are all about. Since 2013, Steam Factory’s husband/wife team has been blending e juices you could use to fog-in Los Angeles. Their 7 flavors include Castaway, Blue Ballz, and Muffcake. Larry tastes like ice cream mixed with berries and sprinkled with crumbled cookies. Apple and Pear were made for each other, especially in a mixture like Kizmet by Steam Factory. Somehow mixed berries become “Screwberry”: at least it’s a memorable moniker. Screwbacco runs with the screwy theme but mixes just one berry with other stuff like tobacco, vanilla, and cream. And this ends out list of the top e-liquid brands on the market today. Best Vape Liquids Copyright © 2019.